General Cargo Haulage, both locally & GCC. 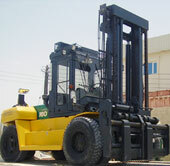 Crane & Forklift services, either call off or long term hire. Muscat based warehousing facilities . We work closely with the Oil and Gas industry of Oman and have a client base of over 100 satisfied repeat customers.